Colima ( ), officially Free and Sovereign State of Colima (Spanish: ), is one of the 31 states that, with the Federal District, make up the 32 Federal Entities of Mexico. It shares its name with its capital and main city, Colima. Colima is a small state located in the Western Mexico region on Mexico’s central Pacific coast, plus the four oceanic Revillagigedo Islands. Mainland Colima shares borders with the states of Jalisco and Michoacán. In addition to the capital city of Colima, the states main cities include Manzanillo and Tecomán. Despite being the fourth smallest entity in Mexico with the lowest numerical population, the state has one of Mexico’s highest standards of living and lowest unemployment. The state covered a territory of 5,455 km2 and is the fourth smallest federal entity after Tlaxcala, Morelos and the Federal District of Mexico City, with only 0.3% of the country total territory. The state is in the middle of Mexico’s Pacific coast, bordered by the Pacific Ocean and the states of Jalisco and Michoacán. Colima’s territory includes the Revillagigedo Islands—Socorro, San Benedicto, Clarión, and Roca Partida. These are under federal jurisdiction but are considered part of the municipality of Manzanillo. Politically, the state is divided into ten municipalities. Natural geography divides the state into a northern and southern region. The north has a cooler climate due to the higher mountains. The south is hotter and includes the Pacific Ocean coastline. The Revillagigedo Islands, of volcanic origin, are dispersed along the 19° north parallel over an areas of about 400 km—with a total landmass of 205 km2. 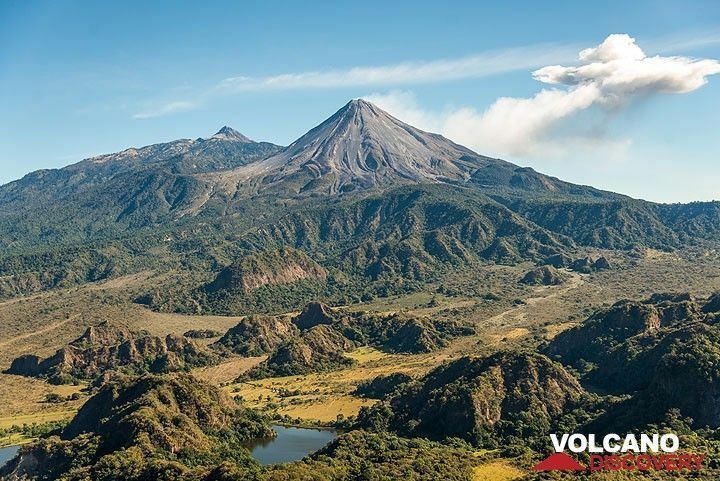 The altitude varies from zero at the coastline to 3,839 masl at the crater of the Volcán de Colima. The state is in an offshoot of the Sierra Madre Occidental mountain range and geographically consists of four mountain systems. The most important of these is the Cerro Grande and its related peaks of Jurípicho-Juluapan, Los Juanillos, La Astilla, El Ocote, El Peón, El Barrigón, San Diego, and La Media Luna. The second consists of mountain chains parallel to the coast between the Marabasco and Armería Rivers, which include El Espinazo del Diablo, El Escorpión, El Tigre, El Aguacate, El Centinela, El Tora and La Vaca. 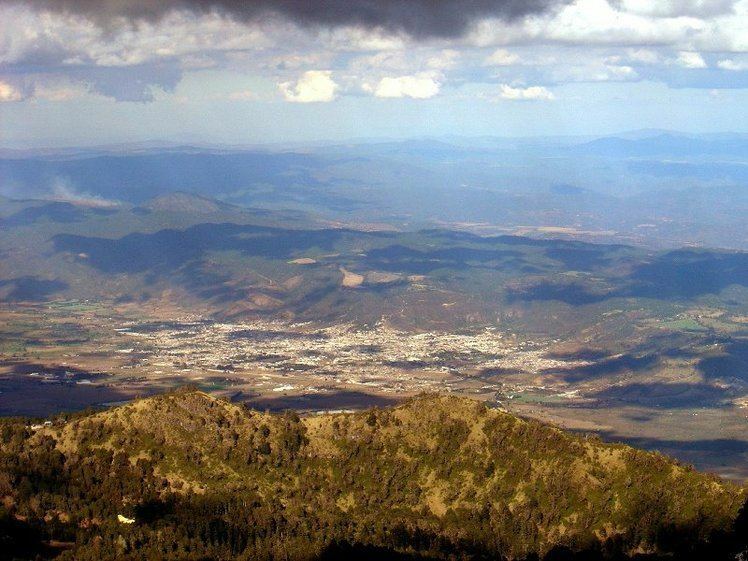 The third is located between the Armería and Salado Rivers and include the Alcomún y Partida, San Miguel y Comala and San Gabriel/Callejones peaks. The last is between the Salado and Naranjo or Coahuayana Rivers and contains small mountain chains such as the Piscila, Volcancillos, La Palmera, El Camichín and Copales. Three quarters of the state is covered by mountains and hills. At the very north of the state, the border is marked by two volcanoes. The Colima Volcano, also called the Volcán de Fuego, is active and the Nevado de Colima is not. The Nevado de Colima is taller at 4,264 masl and gives its name to the national park that surrounds it. The Colima Volcano is 3825 masl and has a pyramidal peak, in contrast to the other, which has been leveled somewhat. The last major eruptions of the Colima Volcano occurred in 1998 and 1999. The main rivers of the state are the Cihuatlán (also called the Chacala, Marabasco, or Paticajo—which forms the state’s border with Jalisco on the west; the Armería, which descends from the Sierra de Cacoma and crosses the state north-south into the Pacific, and the Coahuayana River. The Salado is another important river, which flows entirely within Colima before emptying into the Coahuayana. Many of the state’s streams and arroyos empty into the Salado. Colima has a relatively short coastline, at 139 km (1.2% of Mexico’s total). It extends from the Boca de Apiza to the Cerro de San Francisco in front of Barra de Navidad, Jalisco . The predominant climate is hot and relatively moist, with the coast particularly moist. One exception is the Tecomán municipality where the climate is dry and very hot. The mildest climates are in the municipalities of Comala and Cuauhtémoc. On the coast, the average temperature varies from between 24 and 26 C and in the near, at the highest elevations, the temperatures averages between 20 and 22 C.
Cropland covers 27% of the state’s territory, with another 28% dedicated to pasture. Forest covers 35% with the rest composed of bodies of water and urban areas. Most wild vegetation in the west of the state consists of moderately deciduous rainforest of medium height. Plants that lose leaves do so in the dry season. These include commercially important trees such as red cedar, caobilla (Couratara guianensis), parota (Enterolobium cyclocarpum)—and trees locally known as primavera, rosa morada, habillo, payolo, pelillo, barsino, and salatón. From the west of Manzanillo and into the municipalities of Armería and Coquimatlán, there is rainforest of medium height with tree species such as copal (Bursera) and cuajilote (Parmentiera aculeate), with some pines, holm oaks and salt friendly mangrove forests and scrub. There is great diversity of wildlife species although a number of mammal species such as ocelots, pumas, wild boar and deer are disappearing. Among the state’s rodents is the Xenomis nelson, a small rare animal little known outside Colima. Bird species include wild turkeys, although these have mostly disappeared, and a bird called the chachalaca. A number of ducks and other migratory birds pass through. Reptiles include crocodiles, with a nursery in Tecomán dedicated to their survival in the wild. Another important reptile is sea turtles. The state has a high level of socioeconomic development, with one of the highest standards of living in Mexico and lowest unemployment. In the state, 96% have running water, 82% have sewerage and 98% have electricity. The 2009 GDP of the state was 43,370,725,000 pesos; however, due to its small size and population, this is only .5% of Mexico’s total GDP. Most population and employment growth has been in the main urban areas of the state such as Colima, Villa de Alvarez, Manzanillo and Tecomán. According to INEGI (2010), 24.1% are employed in services. 20.4% in commerce, restaurants and hotels, 15.9% in transportation, storage and communications, 11.1% in finance, insurance and real estate, 9.5% in electricity, gas and water services, 5.7% in manufacturing, 5.1% in construction, 4.9% in agriculture and livestock and 3.8% in mining. Colima’s most important tourism destination is the beaches of Manzanillo, which is popular among those in western Mexico as well as many sports fishermen. Historically, the port was the point of departure for various maritime expeditions and received the annual Manila Galleon from the Philippines. It has called itself the “World Capital of the Sailfish” since 1957 when 336 species were caught off its shores. The abundance of this fish along with marlin has made it a popular destination with sports fishermen and the city holds the annual Dorsey International fishing tournament. However, it is not as well known or as well visited as other Pacific destinations such as Puerto Vallarta, despite long sandy beaches and docks for cruise ships. In the 2000s, the city worked to renovate its downtown, with all buildings now showing white facades and many with red tile roofs. Most of the other attractions of the state are related to its history, and most of these are in and around the capital city of Colima. The former state government palace is located in the center of the city of Colima and dates from the 19th century. The main stairwell contains a mural by Colima painter Jorge Chávez Carrillo. The Palacio Federal is near Jardín Núñez in the city of Colima and dates from the beginning of the 20th century. The upper floor contains murals with scenes depicting Mexico City and portraits of people from Mexico’s history. The Archive of the History of the State is located at Jardín Juárez in the city of Colima. It dates from the early 20th century and was home to the Escuela de Artes Aplicadas. San Francisco de Almoloyan in the city of Colima is the ruins of an old Franciscan monastery from the 16th century. The Mesón de Caxitlán on the Colima Tecomán highway is the ruins of an old in on the former royal road from the 18th century. Indigenous, Spanish, African and Philippine cultures have played a part in the shaping of the state, although traces can be hidden in modern local cultures and traditions. Most crafts and dances of the state are of indigenous origin although some originated after the Conquest. The Spanish contributed bullfighting and charreada. African influenced dialects such as guango and candingo still exists and giant costume/puppets called mojigangos are of African origin as well. The popularity of coconuts in the state derives from Philippine and other Asian slaves that were brought to the state. Colima has a number of important local festivals and other annual events. January 6 is the Los Chayacates de Ixtlahuacán—a mix of indigenous and Catholic practices based on the pastorela and the cultivation cycle of corn. On the Tuesday after Epiphany is the “Entrance of the Señor de la Expiración” in Rancho de Villa. On this date the image returns to this village from Coquimatlán. It includes parades, dances, fireworks, and jaripeos. Candlemas is an important event in Tecomán with traditional dances and fair. Candlemas in Suchitlán is the most important annual event in the region, celebrated with dances such as Los Gallitos, Los Apaches and Los Morenos. The last two dances involved dancers with elaborately carved and decorated masks. Villa de Álvarez celebrates its annual Fiestas Charro-Taurinas, originally the feast of the city’s patron saint, Philip of Jesus. In addition to bullfights and charreadas, mojigangas are featured. 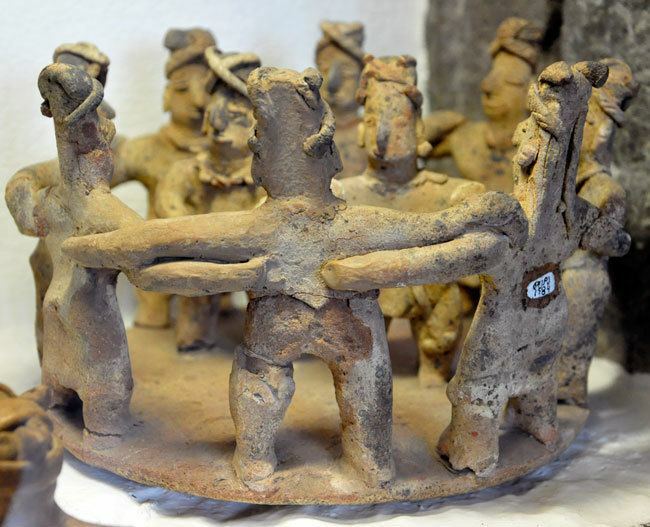 The Paspaques of Suchitlán—an agricultural ritual of pre-Hispanic origin—is celebrated by the Nahuas of this small village on 19 March. It centers on preparing corn in various ways, such as tortillas, tamales, pozole, and more. Holy Week is a major event in many municipalities, which often hold passion plays during the week. The Feria de Manzanillo occurs from 29 April to 1 May and celebrates the anniversary of its designation as a major port (Puerto de Altura). It is held with street parties, dances, contests, and jaripeos. 3 May is the Day of the Holy Cross, important in Suchitlán, and celebrated with the morenos dance. The Fiestas del Cristo de Caña in Quesería in May revolves around an 18th-century Christ image that came to the area from Pátzcuaro. It is celebrated with horse races, mojigangas, traditional dance, processions, and music. On 29 September Tamala, municipality of Ixtlahuacán celebrates the feast of the Archangel Michael with a change of “mayordomos” (festival sponsors) . 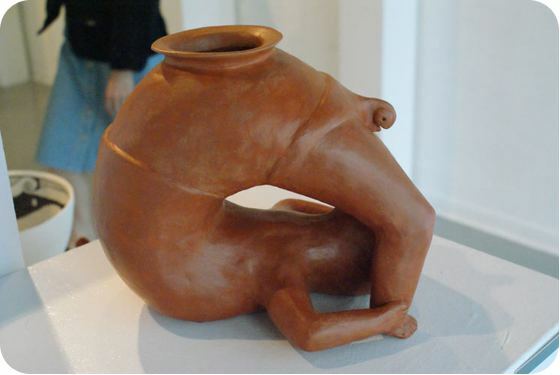 The state has produced one internationally famous artist named Alejandro Rangel Hidalgo. He is best known for illustrating Christmas cards for UNICEF in the 1960s, but he did much other work and designed furniture in a style now called Rangeliano. Many of his works are preserved at his former home of the Nogueras Hacienda in Comala, which is now a museum and cultural center run by the University of Colima . Other noted artists from the state include Alfonso Michel, Gabriel Portillo del Toro, Mercedes Zamora, Jorge Chávez Carrillo, Pancha Magaña and Juan Soriano. Noted writers include Gregorio Torres Quintero, Fray Juan de Grijalva, Balbino Dávalos Balkin and Felipe Sevilla del Río .